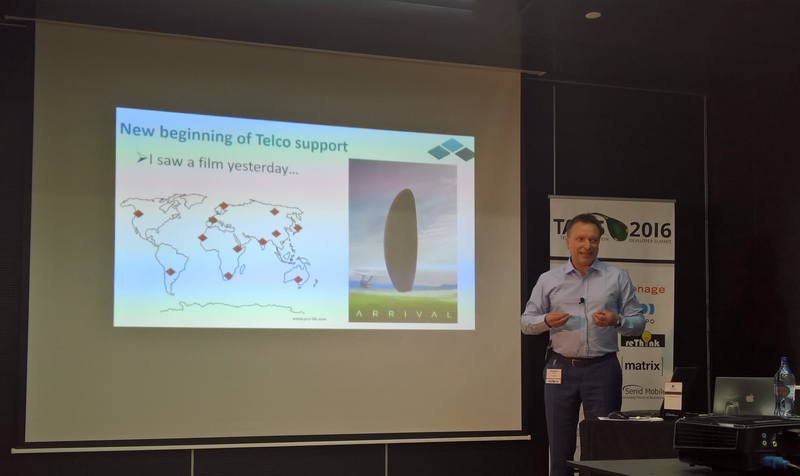 TADSummit 2016 – the conference dedicated to innovation and application development for Telecom world – took place in beautiful Lisbon. eVAS – the evolved VAS solution for legacy VAS systems – presented by Dominik Miodunka. 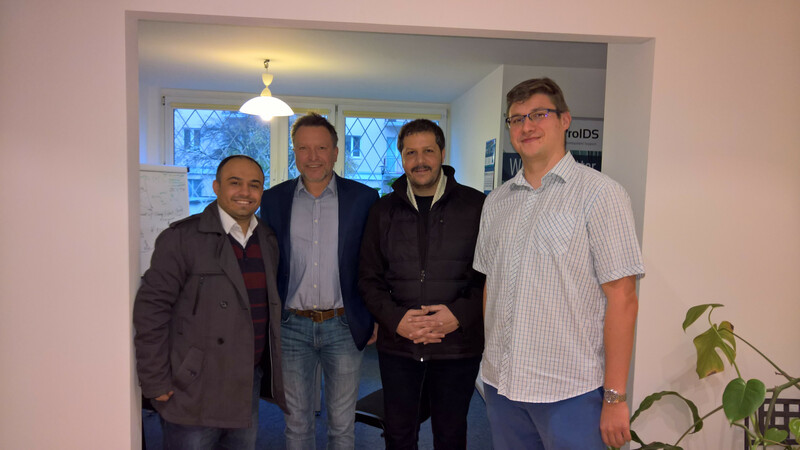 Multiple sessions referred to TADHack Global 2016 which has been co-organized by ProIDS for the first time in Warsaw, Poland. You can find more information about TADHack Global in the following post, and also on its Polish website tadhack.pro-ids.com (in Polish). It was a pleasure to participate and an honor to present on this great event! 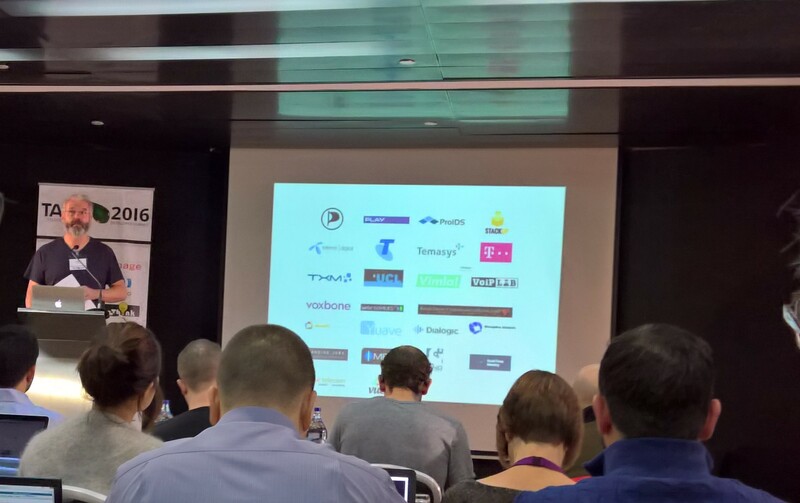 We are looking forward to next year’s TADSummit! 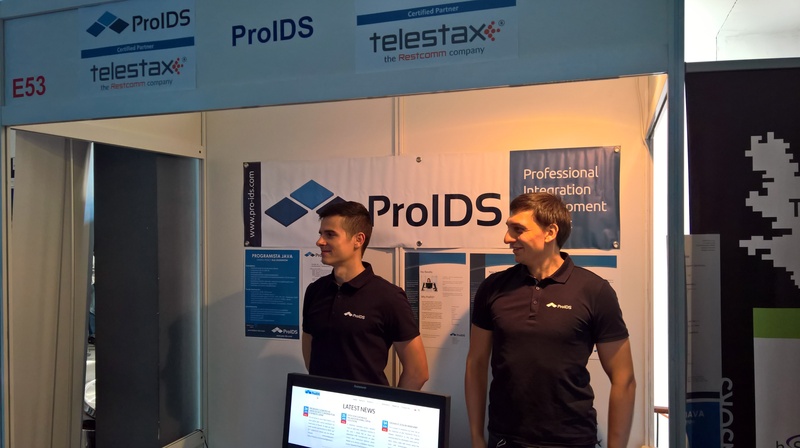 ProIDS has it’s stand on XVIII Labor and Practices Fair WEiTI, which took place on 17-19th October at Warsaw University of Technology. Our representation was Grzesiek and Bartek that were talking with the students telling what we do at our company, presenting advantages of working in a small but rapidly growing and vibrant company. 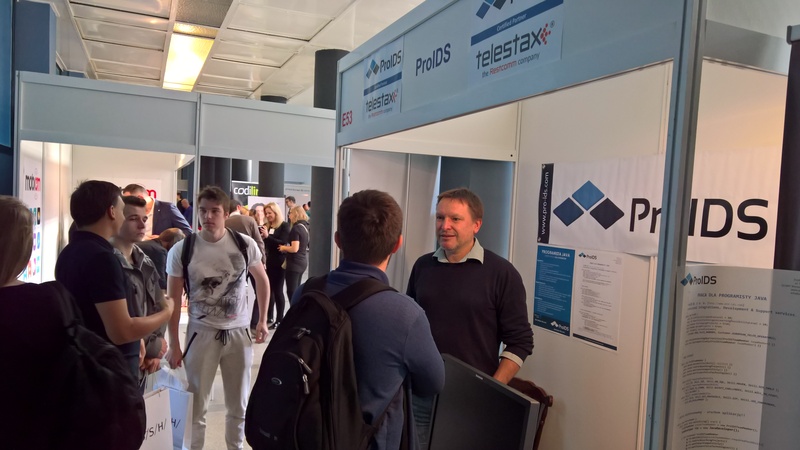 As always at a job fair WEiTI there was a lot of people looking for work in IT sector. Our offer attracted considerable interest – we have conducted many discussions and established some promising contacts which we hope will result in a longer cooperation. Currently we are in the process of expansion of our team – if You want to join our team check out our jobs. 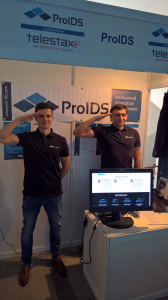 Even if You are not typical Java programmer, but you are eager to learn telecommunications, you are good at what you do and you want to work with us then send your CV to: praca@pro-ids.com. TADHack Global 2016 Warsaw took place during the weekend of 15-16th October. TADHack (Telecom Application Developer Hackathon) is an international programming hackathon (a kind of competition for developers) which was organized in Poland by ProIDS. During the event there was a very cool, creative atmosphere. All presented projects and ideas were remarkable – we hope that go beyond the prototype phase. Project presentations and information about the winners of this year are in the “Aktualności” section at TADHack PL website. We believe that Poland’s first TADHack event as very successful. 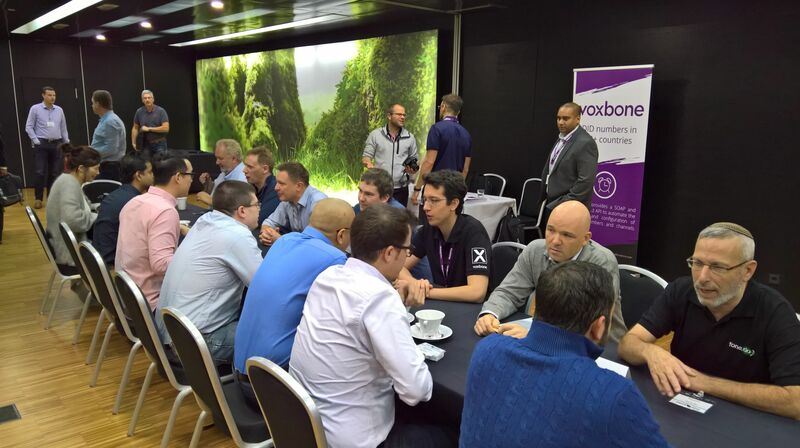 We look forward to an even greater number of participants equally interesting applications next year! In this post I would like to share our experience with SymmetricDS, an open source data replication solution which helped us to deliver a database migration project. Recently ProIDS finished a database migration project of Oracle RAC powered database to open source MySQL Cluster. Our customer was a leading mobile operator with over 12 million mobile subscribers. The migrated Oracle RAC served as a data repository (backend) for JAIN-SLEE based Next Generation IN (NGIN) solution, which hosts over twenty mission critical IN services, handling both business customer as well as individual subscribers. Largest database table contained over 13 M records, most tables had between 3.5 – 5 M records. Migration to the target MySQL DB required re-development of the data access layer of all IN services and adaptation of provisioning applications. Due to the nature of the solution services were migrated in several phases, which led to the situation when both the old and the new databases had to be simultaneously in live operation. The migration phase including all the interim observation periods span for over a week, and with constant changes introduced by the provisioning applications we had to find a solution for synchronizing data across both databases, and at the same time being ready for a quick rollback in case if any issues would be discovered. The factors mentioned above led to the conclusion that the best approach would be to use a dual provisioning solution. Our team carefully considered several possibilities, and after analyzing all pros and cons we decided to choose SymmetricDS. 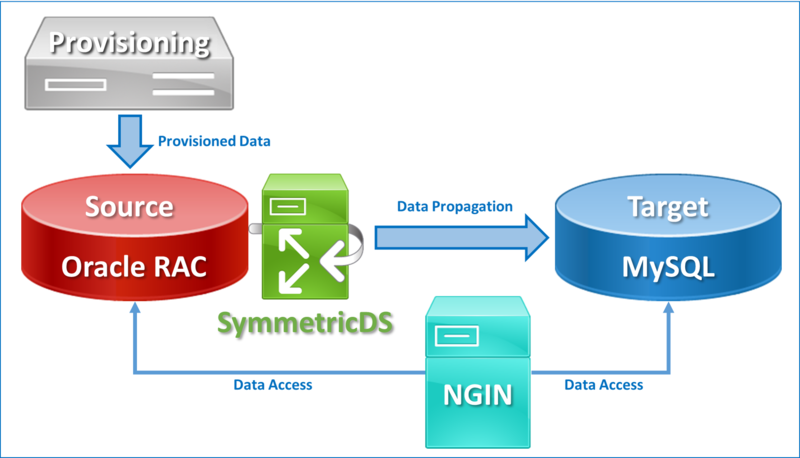 Symmetric DS is an open source data replication engine, which has the advantages of supporting multiple databases out of the box, handles data transfer bi-directionally, and offers required flexibility . The Community Edition was a perfect choice given the scope and duration of migration. The following diagram provides a high level overview of the data migration architecture. Symmetric DS allowed us to optimize project duration, as there was no need for custom development of tools for handling data transfer between databases and keeping them in sync after the initial transfer. Therefore there were no service breaks or provisioning freeze – data migration was a smooth & continuous process. The approach also addressed the selective data transfer of phased migration of data partitions. Summarizing, usage of the SymmetricDS tool, in a large database migration projects, was a real advantage providing effective time and costs savings. Feel free to contact us in case you would face similar challenges related to database migration, we are available to provide assistance. 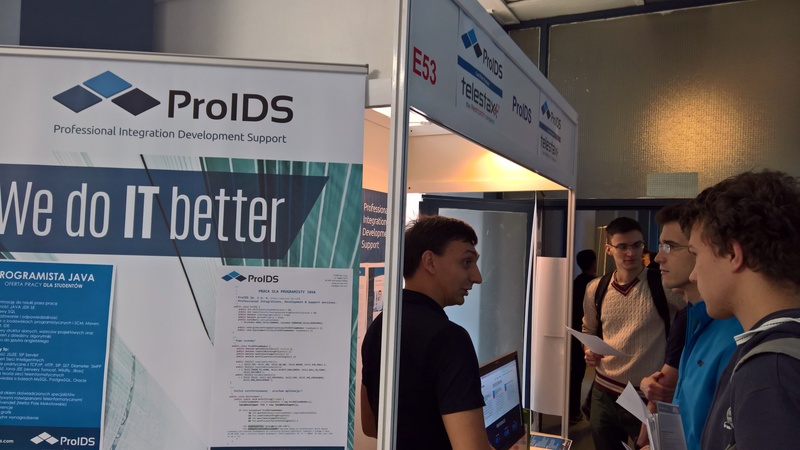 If you would have any specific questions regarding usage of the tool – just drop us a message at info@pro-ids.com.